It’s good to be home. After a couple of weeks visiting my family back in Canada, with yet another heat wave (40C with the humidity!) I can honestly say that I’m grateful to be back in Suffolk. It feels like autumn has arrived here, as it has back in Canada (the day after I left, it turned to a lovely 21C and the leaves beginning their autumnal splendour) and the change in the air is most welcome. As always, going back to visit my family brings up contemplations of just what “home” really is. I realised that in 3.5 years, I will have lived in the UK for as long as I have lived in Canada. Over twenty years of eating food grown in this land, drinking water from local bore holes and reservoirs, breathing in the air and connecting with the different flora and fauna relative to this place and this time. It really has shaped me, alongside the people I’ve met and the experiences I have had, and I am both grateful and a touch melancholic when reminiscing about all that I have done and gone through in moving to this new land all those years ago. This is where I made my lifelong dream come true, to be an author. Never did I ever dream about establishing a Druid College, or a belly dance company, or a host of many other turns my life has taken. It’s been a challenge and a blessing, the twists and turns my life has taken, and for which I am both proud and humbled to have come out the other side. England is not the land of Madam George and roses, as Sinead O’Connor once sang, but it is the place that captured my heart, alongside Wales, Scotland and Ireland. So I return to my home with a renewed sense of place, of home and indeed, of belonging. Even though I will always carry a thread of being an outsider, with my accent alerting people to the fact that I was not born here, still I feel like this place is home. An immigrant to this country, coming from a long line of immigrants to various countries, I feel a shared connection both to my ancestors as well as to the ancestors of place, which here in the UK are so varied from before history even began. I have a few months now to breathe deeply, to take the time to reconnect, now that my new book for Llewellyn has been sent off and revised. For the rest of the year, I will be taking information in, taking in the sensual and the ecstatic, allowing the awen to flow into me after many long months of being on the other end. Allowing myself to reap the harvest sown earlier on. And so the cycle continues, in and out, flowing and ebbing, as I gather my resources ready for a new round of work come the new year. For the next three months, I will be listening to the words and voices of others, allowing their inspiration to fill me, and see where that takes me. And in the meantime, I shall walk this land, the sandy soil of heath and woodland beneath my feet, the wind blowing in from the sea and scenting the air, the hearthfires burning both in the little village around me and within my soul. P.S. Here’s a sneak peek at the cover of my new book, coming out next summer! Druid College has its second session on the weekend of 23-24th January, taking Year 1 students through the realm of the sea. For more information on Druid College, please see the website at uk.druidcollege.org. Please note that we have changed the registration for new Year 1 students, so that registration opens at Imbolc 2017 instead of 2016. This allows the tutors to take the students through Years 1 and 2 without interruption, devoting their time and energy fully to the current students before taking on any new students. Registration opens when current students reach Year 3, which contains more independent study. Come along to the Woodbridge Mind Body Spirit festival on 2-3 April – we’ll be performing with our dance company, Gypsy Dreams Belly Dance. I’ll be at the Wild Warrior Beltane Picnic again this year on 22 May, signing books and also performing with Gypsy Dreams. Come along and say hi! Druid Camp this year runs from 3-7 August. I’ll be giving a talk over the weekend, date and time to be confirmed. Don’t miss this fabulous event, the best Druid gathering around! Druid College begins in a couple of weeks, and I’m so very excited about it. This is the first time I’ve taught this many students at once – thirteen in all have signed up for Year 1! It promises to bring a lot of change to my life, and I look forward to it. This year has already brought about many changes in my life, and has led to a deeper relationship with my gods, the ancestors and my environment. I feel so blessed to be on this journey, a journey that is shared with my friends and family, with readers of my blogs, my students and fellow colleagues on the Druid path. I have lived my Druidry full-time for many years now, and now it is a full-time “job” as well as a way of life! There are also more books underway, which I hope you will enjoy. I aim to live in service to this land, to this planet, in whatever shape or form I can. I feel that it is our duty as part of an earth-based religion to serve, with truth and honour. I heartily thank all my teachers and guides along the way, and hope that I can continue the cycle of inspiration, of awen, after having been so inspired by so many people, both human and non-human, as well as that wonderful serpent energy contained within these British Isles. I honour my roots and work towards a future that I hope will be integrated, inclusive and inspiring. Thank you, all from the depths of my heart. This is a reblog of my latest post from my channel at SageWoman’s blog, on Witches and Pagans. Friend and fellow colleague, Kevin Emmons, once described the sacred as “A simple thought that isn’t so simple. What we see and experience as sacred is what allows us to glimpse the eternal through cracks in consciousness caught in the field of time.” I love it when people say things that really make you think. You can find links to other inspiring writers on my personal blog at Down the Forest Path. As a Druid and animist, to me everything is sacred. Everything is sacred, and yet everything is also mundane. As author and Zen teacher Charlotte Joko Beck once said “Nothing is special. And when nothing is special, everything is”. She wrote an entire book, called Nothing Special. I highly recommend it. Kevin’s words are beautiful, evoking an image of eternity in which we can only catch glimpses. My Zen Buddhist tendencies lead me to question whether anything is eternal, as the main tenet of Buddhism is the impermanence of everything, and yet there is a certain paradox in that the energy of life is never-changing: it only changes in the forms that it takes. Energy manifests itself as different forms of matter dependent on circumstances such as environment, genetics, etc. So yes, the energy is eternal, but the manifestation is not. We cannot escape life. It is always there, always around us, and we are always a part of its flow. There is no separation, only integration. We live with each other; we live because of each other in a beautiful dance throughout the ages. These cracks in our consciousness allow us to break through our perceived reality, and move beyond perceptions, beyond subjectivity into the entirety of being. Our senses are so beneficial to us, and yet they also are the cause of our subjectivity. We see the world through our own eyes, feel through our own fingers, listen with our own ears. Everyone is different, yet everyone has a shared experience. When the species is the same, there is a deeper shared experience, an understanding and knowing where the Other is not so “other”. Transcendence is moving beyond the senses, moving beyond the boundaries and definitions into pure understanding, pure experience. Then there is no “I” or “Me”, there is no “You” or “Them” – just life, glorious life. Our consciousness is a blessing, a gift. It is also the greatest hurdle to overcome, for it shouts aloud and above the songs of the earth, drowning out the consciousness of other beings in our own minds. Cracking open our consciousness we allow those other songs to come through, to inspire us, to nourish us, to blend with our song in a wonderful symphony of energy manifesting, over and over again. These cracks of consciousness are caught in the field of time (however you may view time, whether it be linear, circular, etc.). Energy manifests, for a time, and then changes its form. Time is what creates the impermanence that is so vital to life. Without time, there would be no conception, no materialisation, no death and no decay. Within the moveable boundaries of time we see a progression of the eternal processes of birth and decay. Time is a gentle sanctuary, an indiscriminate boundary that allows these processes to occur. And so, the sacred is that which allows us to glimpse the eternal. The sacred is anything and everything, if only we open up our senses and move beyond our perceptions. Through the cracks of consciousness within the fields of time we perceive this sacredness, flowing and changing, manifesting and decaying, a boundless stream of energy moving through the cosmos. May you see through the cracks to glimpse the sacred. February was a particularly busy month – with the opening of Druid College UK being a huge success! We are now already halfway full in our bookings to begin Year 1 in October this year, and the response has just been amazing. Social media posts engagement has numbered over 100,000 views, with thousands of shares and likes. A big thank you to everyone who has supported this project! There are still spaces left on the course, so if you’re interested please email me for further details. Lots of support has also been received since the interview I had with OBOD’s chosen chief, Philip Carr-Gomm last year at the Order of Bards, Ovates and Druids‘ 50th anniversary gala. The Druidcast interview went out in January, and there has been lots of interest since then, certainly keeping me busy! At the end of February I also did an interview for Upon a Pagan Path, which aired early this month – Tommy the interviewer was such a lovely chap. February also saw all three of my books, Zen Druidry, Dancing With Nemetona and The Awen Alone reach the Number 1, 2 & 3 spot on Amazon! What a day that was – I was and still am flabbergasted. The next couple of months are going to be equally busy. On Saturday 28 March I will be giving a talk at Leaping Hare in Colchester on the goddess Nemetona. I’ve been going to Leaping Hare for many, many years now and it is an absolute honour to be asked to present at this year’s gathering. I’m looking forward to seeing many familiar faces from the Eastern Region! But before Leaping Hare I’m heading over to Glastonbury, to enjoy a little break and celebrate the Spring Equinox with some lovely friends. We’ll also be seeing our friends Serpentyne who are doing a gig on Sat 21st – a medieval ball! Don’t miss it – it’s going to be great. We’re very much looking forward to performing with Serpentyne this summer at the Corn Lammas Gathering 21-23 August as Gypsy Dreams Belly Dance. (I’ll also be sharing a stall with my lovely, arty, crafty sisters and selling books – do pop by for a chat!). The Beltane Picnic hosted by the Pagan Federation will take place this year on 24 May at The Roundhouse in Essex. I’ll be there with my belly sisters performing again, and also doing book signing – I love this event so much, and have been going for a few years now – it’s such a warm, friendly, welcoming atmosphere of celebration! If you’re in the Suffolk area on 18th & 19th April, check out the Woodbridge Mind Body Spirit Festival. It’s a lovely gathering of really cool folk who have created a wonderful two day festival celebrating alternative therapies, lifestyles and just sharing the love. I’ll be doing a chakra cleansing workshop on the Saturday, as well as performing with my dance troupe. Shimmy shimmy shimmy! 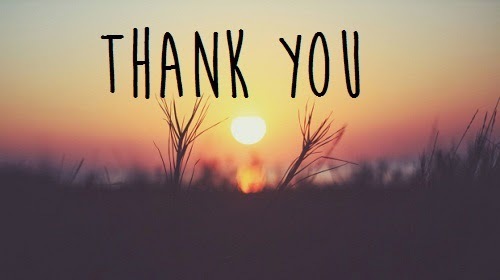 And lastly, big thank you to everyone who has supported this blog and who continues to do so. Since the beginning of January we have had over 10,000 views on here alone, with many new people subscribing. Virtual hugs all around!